Signs You Need a New Heating System Installed | Quinnair Heating & Air Conditioning Inc.
How to Tell When You Need a New Heating System? Winter is around the corner. Is your heating system ready? Nothing is more discouraging than turning on the heat only to find that it is not working correctly. It is a big inconvenience when the weather outside is cold. To avoid this type of situation from happening, we have brought you today five signs that indicate you need a new heating system. An older furnace has to work harder to operate as it should. This means that your heating system uses more power, which translates to higher energy bills and more frequent repairs. Once you begin seeing significant bill increases, consider replacing your old furnace. Check out the energy-efficient products offered by Quinnair in Colorado. Banging, rattling and squealing sounds are all indications that something is about to go wrong. Reach out to our HVAC experts to help you address the problem. As the system ages, it becomes less efficient; it will turn itself off-and-on more often as it struggles to keep the room at the temperature you prefer. A blower turning off and on too frequently or blowing cool air, are evident symptoms you need to repair it or buy a new furnace. Like home appliances or vehicles, heating systems require more repairs as they age. 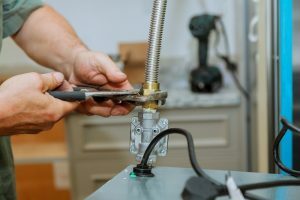 A general rule of thumb is, if your furnace needed repairs in the last couple of years, most probably it is time to buy a new one. Plus, constant repairs are very common when your equipment is past its 16-year mark, which is the typical lifespan of this type of machine. If you live here in Lakewood, Colorado, be sure to call Quinnair at 303-980-3788 for all your heating & cooling needs. 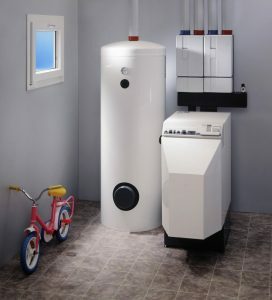 We offer free in-home estimates on new heating and furnace systems so that you can have a more comfortable home.